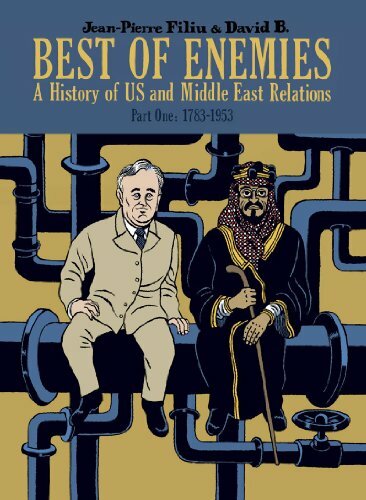 Filiu and David B. draw striking parallels between ancient and contemporary political history in this look at the US-Middle East conflict. The reader is transported to the pirate-choked Mediterranean sea, where Christians and Muslims continue the crusades, only this time on water. As the centuries pass, the traditional victims of the Muslim pirates--the British, French, and Spanish--all become empire-building powers whose sights lie beyond the Mediterranean.